We have a fabulous range of 10ft round trampolines which are all on sale and from well-known trampoline brands. Worried about purchasing a trampoline that is too big or small for your garden? Not to worry! Our range of 10ft round trampolines is suitable for any size garden. Your children's safety is our main priority, which is why we have built-in safety enclosures on most of our trampolines. We promote ‘Exercise through Play' because we believe it's good for children to start exercising at a young age. Our 10ft round trampolines are a perfect way for your children to be healthy and active. Our 10ft round trampolines are different in their own way, for instance, we have trampolines which come with a free ladder, cover or a tent. Whereas others may have a built-in safety enclosure. On top of this, all of our 10ft round trampolines are from the UK's biggest trampoline brands such as Jumpking, REBO, Telstar, BERG, Plum and so much more. You're spoilt for choice with our extraordinary selection of 10ft round trampolines. All of our 10ft round trampolines are on a big sale compared to our competitor's prices. Also, they are affordable too. You can save £199 when buying a trampoline from us. So don't miss out on our exclusive range of 10ft round trampolines as you won't find a better quality of them anywhere else! 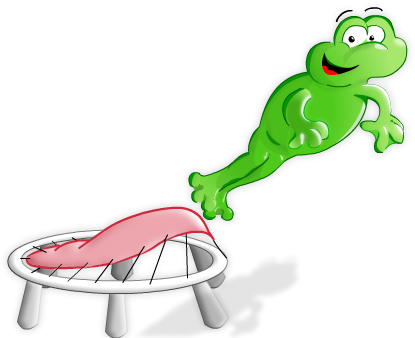 Click on the links to see more of our other trampolines such as our 8ft round trampolines or our 14ft round trampolines. Here at Trampolines Online, we strive to make all of our customers satisfied through our trampolines, which is why our quality range of 10ft round trampolines is ideal for you and your children to have. So if you would like to purchase a 10ft round trampoline today, please email us at sales@trampolinesonline.co.uk and one of our experts will reply to your message as quickly as possible. Needless to say, that Trampolines Online are one of the leading suppliers of trampolines for sale.